Custom Tire Tread Ring, Black Tire Rings and Tire Wedding Bands. This Black Tire Ring is Made In The USA in our state of the art facility. It is very unique in it's own magnificent way. Tire Jewelry includes a deluxe comfort fit design and perfect rounded edges. We have any size you need available as these rings are custom made to order. 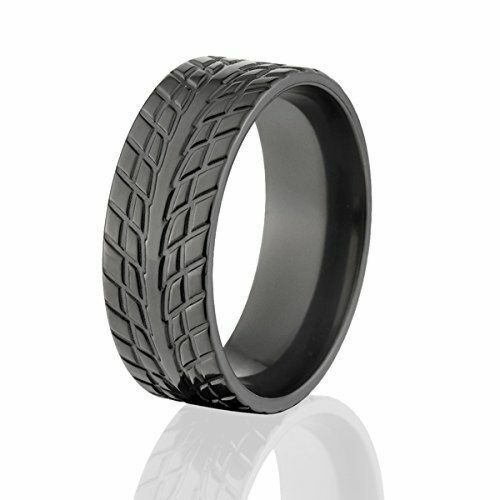 What better ring to sport on your wedding day then one of these amazing Tire Wedding Bands. What is 46 + 9 = ?